Have a trip planned to the Singapore of India, Ahmedabad? You have arrived at the right place. We at Rehlat provide you the special offers and deals on online flight ticket booking to Ahmedabad. Book flights to Ahmedabad with Rehlat and avail exclusive airfare deals, and discounts. Choose from the best selection of low cost flights to Ahmedabad from all around the world. Take a trip to Ahmedabad which is packed with significant landmarks and cultural affluence and one of the emerging world class cities in India. 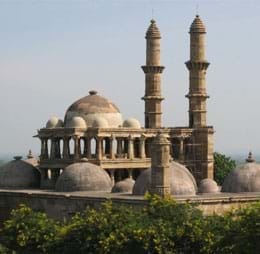 Ahmedabad is many people’s favorite because of its location advantage and vibrant culture and tradition. With a vast population of more than 6.5 million inhabitants, Ahmedabad welcomes several million travelers from all corners of the world. Ahmedabad has some of the best iconic landmarks like Kankaria Lake, Sabarmati Riverfront, Science City, Manek Chowk, and Iskon Centre. Ahmedabad is the largest city in the Indian state of Gujarat and is renowned for its several man-made historical attractions and sites. It is a major hub for varied number of historical sightseeing’s including Bhadra Tower, Teen Darwaza, Jama Masjid, Sidi Saiyyed Mosque, and Hazrat Harir's Mosque & Tomb. Ahmedabad is a major gateway for shopping lovers. Gujarat's largest city is filled with world-class shopping centers, local bazaars, street markets, branded outlets, and much more. The city boasts with some of the best shopping places like Lal Darwaja, Sindhi Market, Manek Chowk, Rani-no-Haziro, and Raipur Gate. Ahmedabad is one of the finest places in the country to taste a range of mouth-watering dishes. Here are some of the best restaurants in Ahmedabad including Rajwadu, 650 - The Global Kitchen, Sasuji Dining Hall, Neelkanth Patang Restaurant, and Hotel Moti Mahal. If in Ahmedabad, don’t miss the local Dhokla, Khandvi, Puran Poli, & Kadhi. Ahmedabad is well connected with various types of local transportation network including public buses, taxis, trains, auto rickshaws, and mini buses. Taxi and cab services are available 24/7 at an affordable cost. Sardar Vallabhbhai Patel International Airport is the major international airport. There are many domestic and international flights operated from this airport to all major cities. It is equipped with four terminals - Terminal 1, Terminal 2, Terminal 3, and Terminal 4. Terminal 1: This terminal is used for arrivals and departures of domestic flights and it can handle 1400 passengers at a time during peak hours. More than 250 cars can park at once. Terminal 2: This terminal serves arrivals and departures of international flights. It is packed with four aerobridges and 32 check-in counters. Terminal 3: This terminal is used for pilgrims travelling to Hajj and it can manage 500 passengers during peak hours and 200 cars parking facility. Terminal 4: This terminal is used for cargo shipping and more than 56 percent of international cargo managed at this terminal. Ahmedabad offers professional and high-standard transfer service for visitors to reach the city center. Sardar Vallabhbhai Patel International Airport is well connected with different modes of vehicles including public buses, car taxi, and much more.